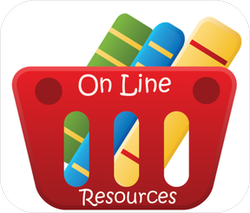 Here is an article helping students find the best available online resources to aid them through their school career. The internet has transformed the entire college experience, generally for the better. While it's arguable that nonstop social networking sites like Facebook act as more of a distraction than anything else there are still plenty of ways in which the internet lets students perform at a higher level than ever before. The majority of these online resources revolve around quickly and easily obtaining information, but online resources can be used just as effectively for everything from connecting with potential mentors to learning which classes to take. Instant Access to Information. This is one of the key benefits of the internet, especially for college students. One of the keys to performing well academically is being able to quickly filter through a lot of information to find what you're looking for- those sources which support and enhance the arguments you make in your assignments. Whereas you previously would need to spend hours and hours running through countless books and articles in your library you can now quickly find the sources you need using websites like Wikipedia.org or Google's research paper searching application. Connect with mentors. While most people focus on the ease of accessing information through the internet most people fail to realize an even more powerful element of the internet- the ability to connect personally with mentors and other accomplished experts. While it's great to find a book which perfectly supports your theory it's even better to shoot an email to the author of that book to start a dialogue. By searching for personal web pages and blogs of the authors of your books and articles you'll be able to better understand their arguments, ask them any question on points you need clarifying and even establish long-term correspondences and valuable networks which will help you even after you complete school. Figure out which classes to take. Finally one of the best online resources for students are the various websites like Rate My Professor which exist to help students figure out whether they really want or need to take a class they have their eye on. These websites let other students who have taken these classes talk about their experiences covering topics like what the class sessions are like, how fairly the professor grades and how big of a course work commitment the class is. If you're a high school junior or senior who is looking at going to school you'll even be able to use websites like this one to figure out the reality of going to the schools you're looking at, giving you the ability to cut through their promotional hype and learn an unfiltered student's-eye perspective on your potential university. The internet can be a great boon for students provided you use it in a very focused and directed manner and not simply as a default way to kill time and procrastinate when you should be working or paying attention in class. Take advantage of the increased level of access and sharing the internet provides you and you'll excel in your studies. This article is brought to you by the folks from http://Textbookcoupons.com. We hope you enjoy this information and find it useful and can apply it to your college life. Knowledge is just a process of information going in, being understood and coming out again. So how do you study?